I can't just pop into a grocery store in Japan and buy hummus because they just don't sell it here. 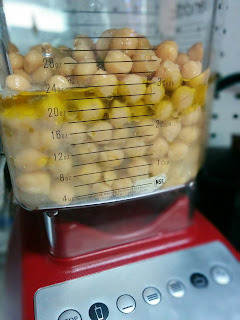 I can, however, throw a couple cans of cooked chickpeas and a few other staples in the blender and whirr away my Middle Eastern food cravings. My blender cookbook has an easy recipe, and I usually double it. Put it all in the blender and whizz it up. 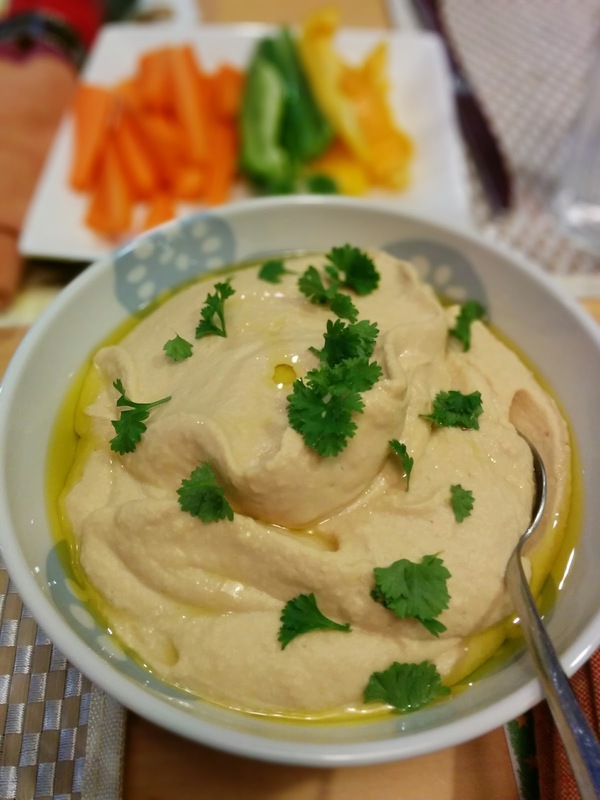 I serve it with a drizzle of olive oil and a sprinkle of fresh parsley on top.